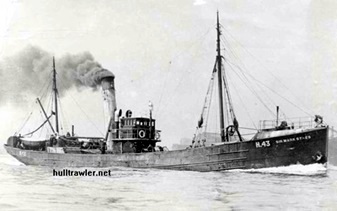 The M/S Tito was built in 1914 in Great Britain, It was named HMT SIR MARKS SYKES and was in the service of the British Admiralty from 1915-1919 as a Minesweeper. After serving with the Navy, it was bought by an Argentinian company who later leased it to Manila Steamship Co., Inc./Elizalde Service. It plied the Catbalogan-Tacloban-Cagayan de Oro-Bugo route. During the War, it was captured and extensively used by the Japanese Army as an Inter-island vessel to transport troops, supplies and Prisoners of War. Capt. Okamura, who was killed in action in the hands of the Balingasag guerrillas arrived in Balingasag via the M/S Tito in Sept. 16 1942, the same day that he died. The M/S Tito survived the war and was scrapped in 1957. 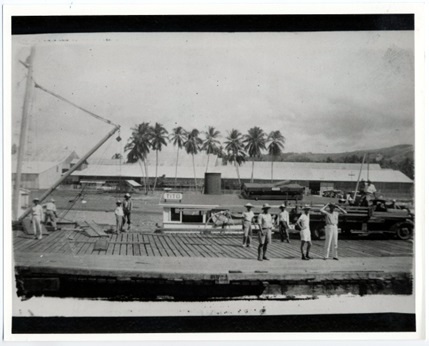 A Photograph of the partly hidden M/S Tito in the Bugo Docks. Picture must have been taken during low tide as the dock obscured most of the boat’s profile. Picture taken in 1941.
Who was the Cagayanon who wrote UP Beloved? Atty. Teogenes Velez Sr.